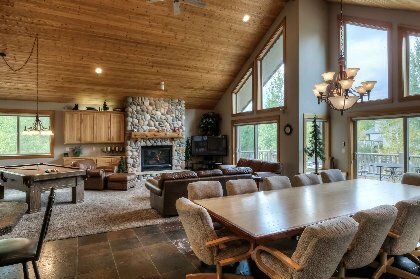 Experience the luxury of this wonderful, 3600 Square Foot, 6 Bedroom, 5.5 bath, Lodge-Style vacation home in SUNRIVER, OREGON. 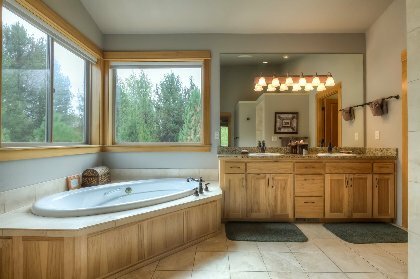 This gorgeous home is ready to make your vacation a dream. 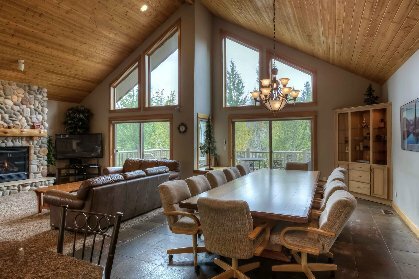 Extensive use of logs, natural wood, granite and slate in an open "great room" plan provides the ultimate luxury home with the rustic lodge feel of Sunriver. 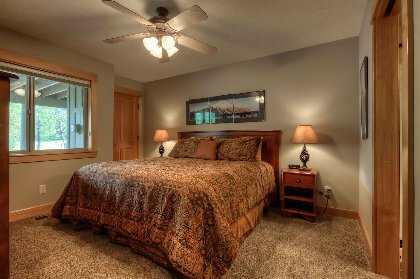 With FOUR MASTER SUITES, ALL with KING BEDS, this home is ideal for a group of couples who all like to have their own room with private bathroom. This is also an amazing home for families. 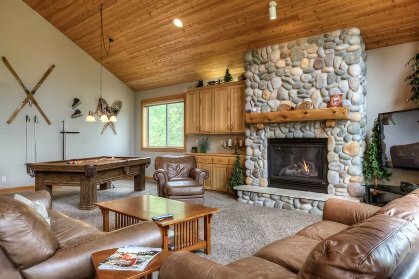 Enjoy the pool table in the living room and there is also the huge, heated oversized garage that has ping-pong, air hockey, and foosball tables &#8211; in addition to room for three cars. Perfect location on Quelah Lane near the mall between circles three and four. 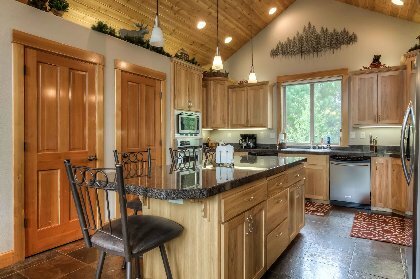 When you want a wonderful, luxury, vacation rental with all the little extras, this home is for you! 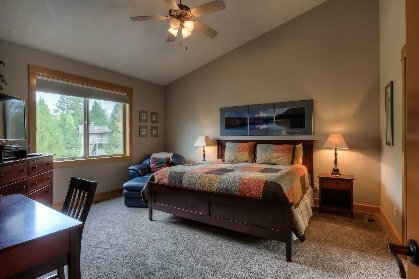 This home does come with passes to the brand new SHARC facility in the heart of Sunriver. The passes also include access to the North Pool and 26 tennis courts. SHARC- Open year round Featuring: indoor and outdoor recreation pools, outdoor adult hot tub, outdoor lazy river, two water slides, tot pool and sand play area, cafe, picnic area, playground, basketball court, bocce ball court, year-round tubing hill and warming pavilion, event/meeting rooms and outdoor amphitheater. Deposit: Off-peak and Ski Season reservations made more than 60 days prior to the arrival date will require a 35% deposit at the time of booking, and the balance will be due 60 days prior to your arrival date. 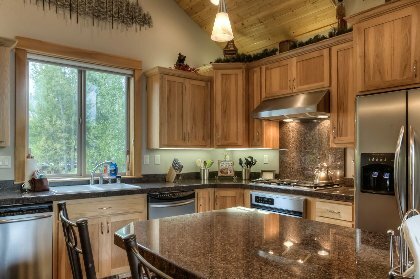 Off-peak and Ski Season reservations made less than 60 days prior to the arrival date will require full payment, at the time of booking. Holiday reservations made more than 75 days prior to the arrival date will require a 35% deposit at the time of booking, and the balance will be due 75 days prior to your arrival date. Holiday reservations made less than 75 days prior to the arrival date will require full payment, at the time of booking. Summer/Peak reservations made prior to March 1st will require a 35% deposit at the time of booking, with the balance due on March 1st. Peak season reservations made after March 1st will require full payment at the time of booking.